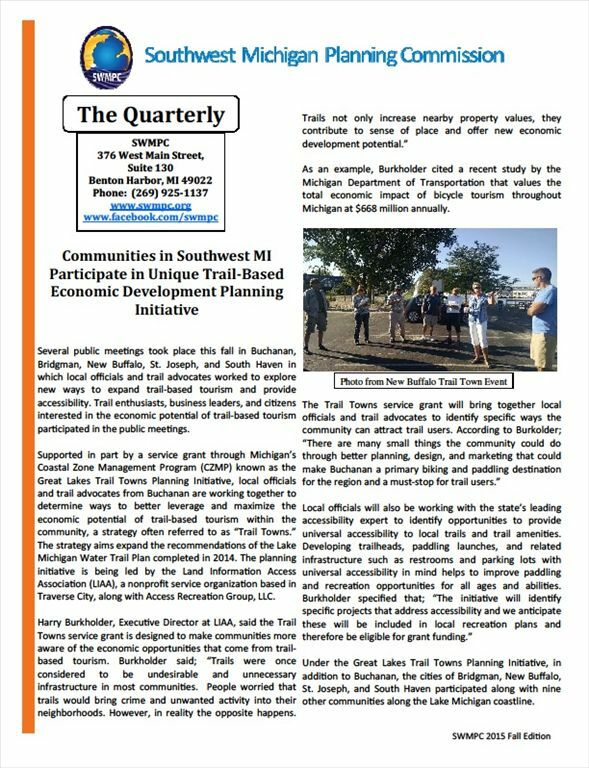 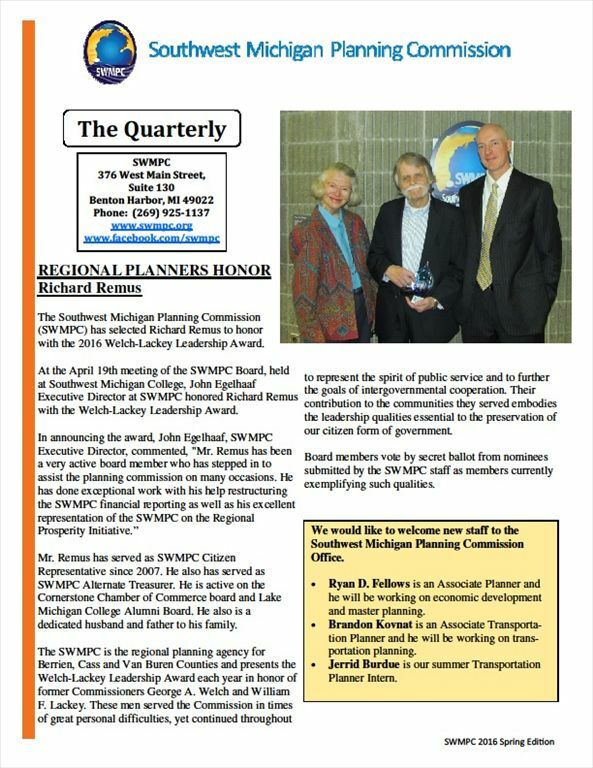 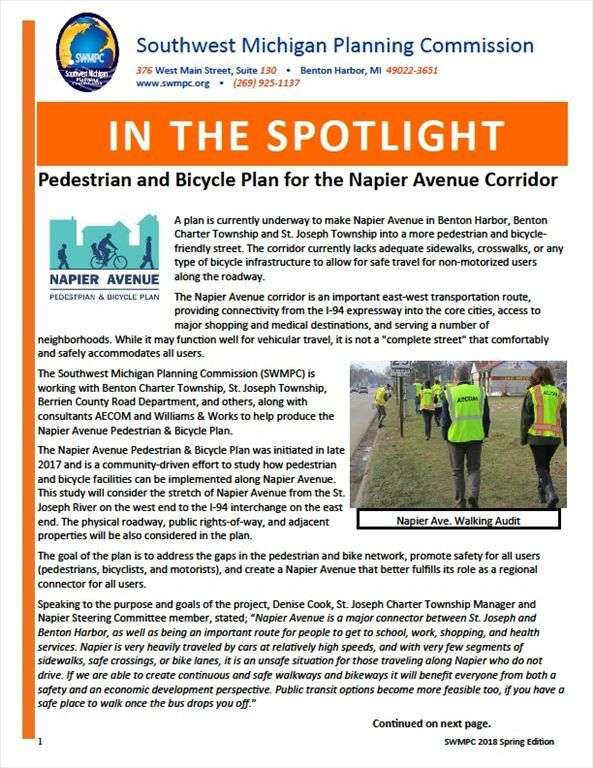 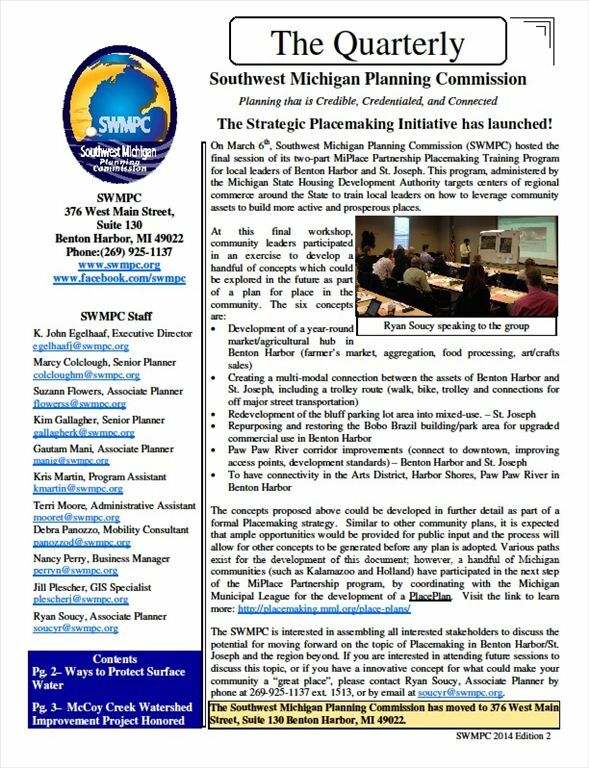 The Southwest Michigan Planning Commission creates a newsletter that highlights the activities of the organization, communities and also brings forth interesting information. 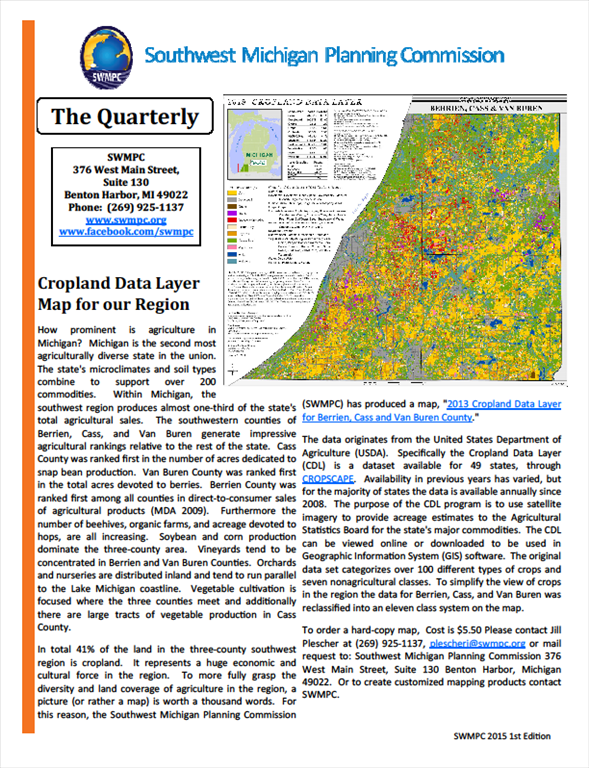 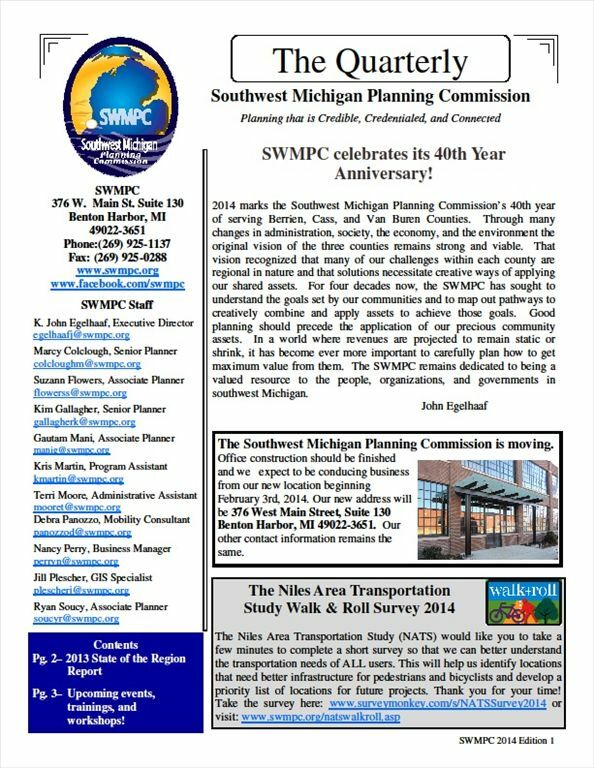 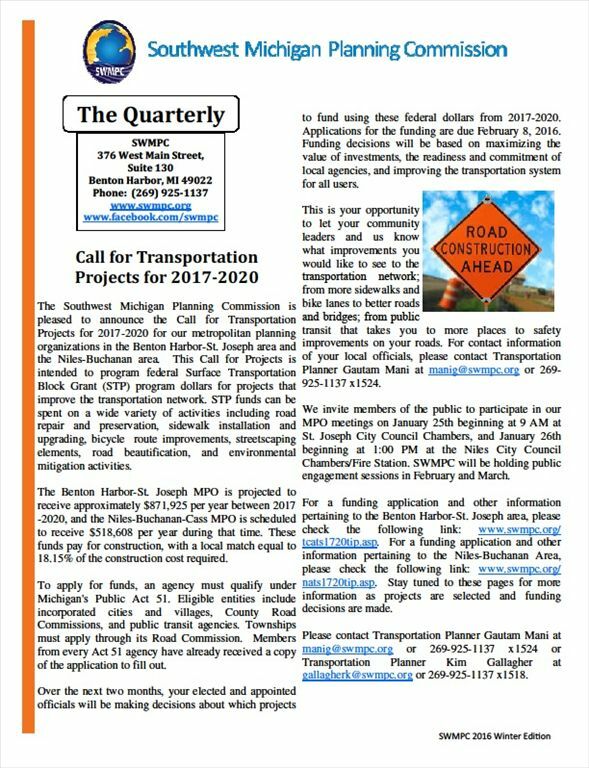 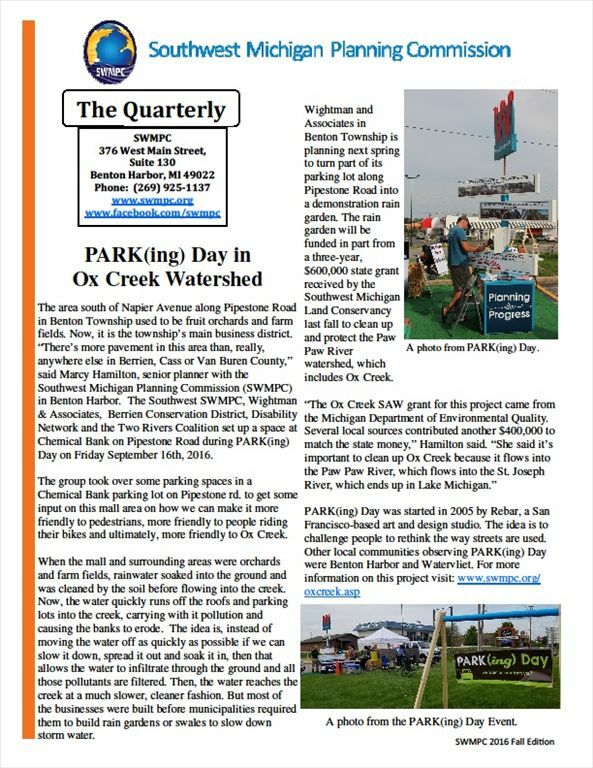 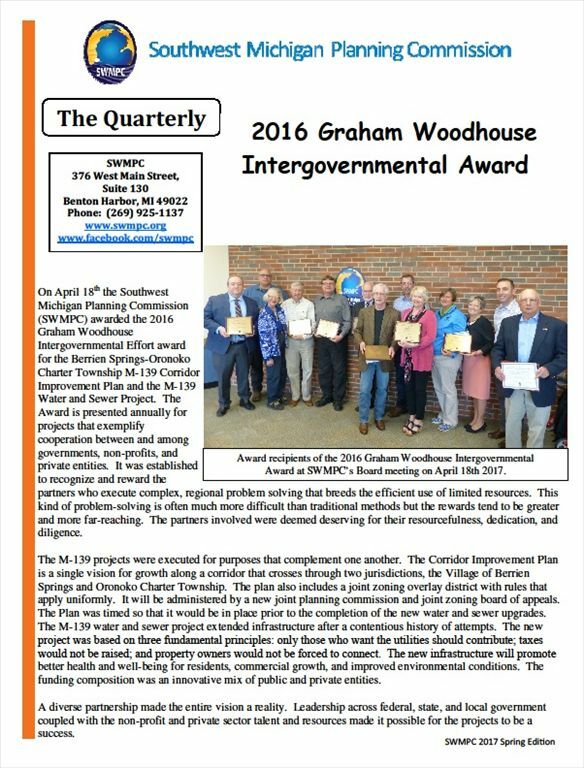 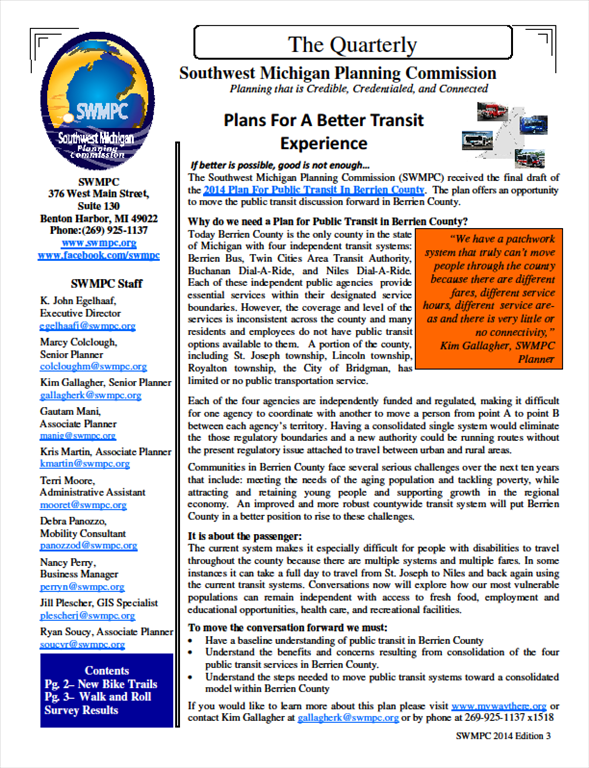 Click the Editions below to view or print SWMPC's Newsletter! 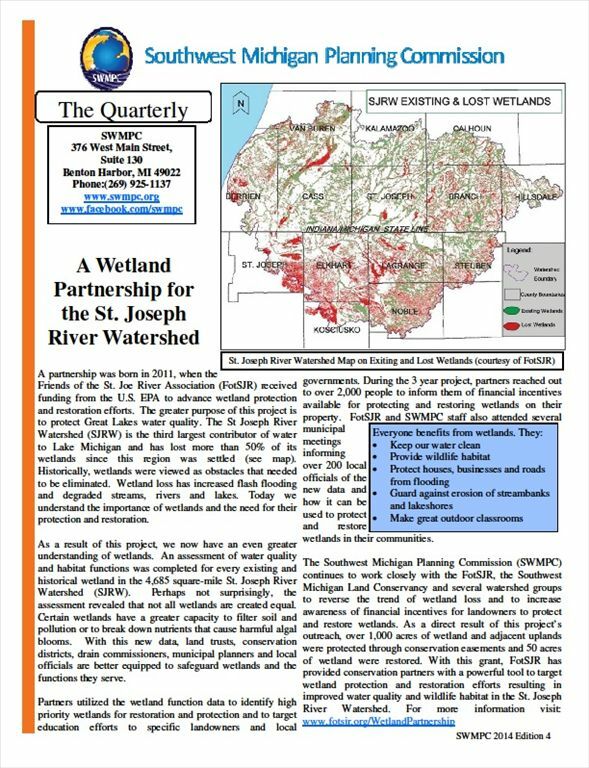 By receiving this newsletter electronically you will be reducing greenhouse gases: The carbon footprint of 40 reams of paper is equal to the amount of carbon that a 1.5 acre pine forest absorbs for one year!